Macey Mayflower doesn't want to start at a new school. She knows she will miss her old friends, and she is worried no-one will like her. Feeling scared and with butterflies in her tummy, she bravely faces the day and soon remembers what her Mama told her - "Be yourself, be friendly and smile." 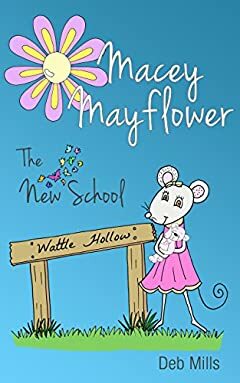 Join Macey as she experiences her first day at Wattle Hollow School. This chapter book, with eye-catching illustrations, is an enjoyable read for children ages 4-8.